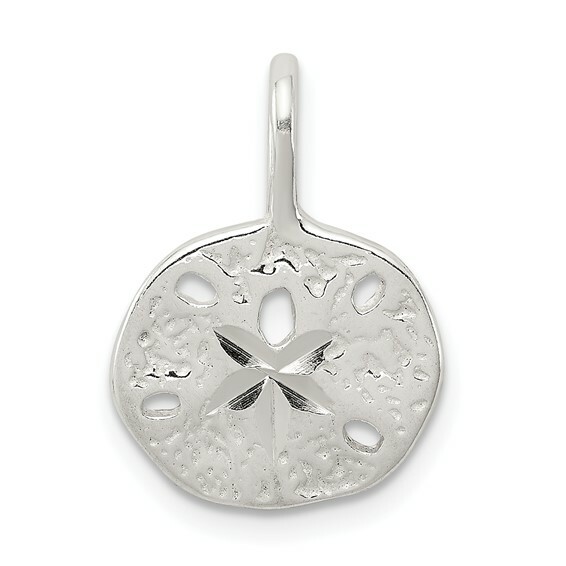 This tiny sand dollar charm is made of polished sterling silver. Item sze: 7/16 inch tall by 7/16 inch wide. This charm is half the size of a nickel. Weight: 1.1 grams. I was looking for the perfect sand dollar charm and I found it! Perfect size, looks beautiful! Small, but fits exactly how I wanted it to! It's very noticeable and I get compliments on it every time that I wear it!